M V Harland: February already! Crikey, it's February already. Where the heck did January go? Down Under I suppose that Australia Day marks the end of the long summer holidays for most which started just before Christmas. You can tell it's winter here and summer Down Under by the plethora of airline ads on the TV with Qantas, Emirates and Qatar all trying to shift hordes of frozen Poms to warmer climes. I wouldn't mind myself but I'm going to have to wait until later in the year. 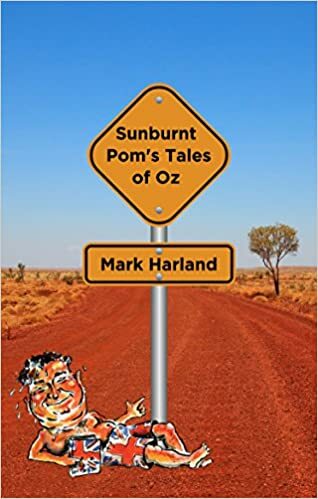 My first flight to Oz was memorable and is covered in the first of my short stories which I called 'What kind of biscuits?' What an odd title you might think and you'd be right! If you read my Tales of Oz then please give me your thoughts – good, bad or indifferent. I've got a thick skin and all feedback is welcome. Let me know which of the twenty stories you liked best and which you think best sums up the Australian character.